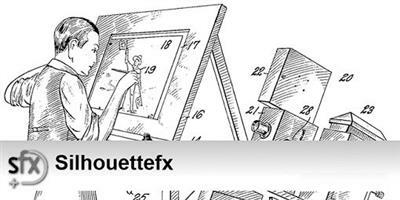 • Input/Output > EXR > Use Data Window as Display Window The Input/Output > EXR > Use Data Window as Display Window preference overrides the default behavior of Silhouette automatically loading an EXR file's Display Window. Reloading the project or media is required for this preference to be enabled. • Scripting: Extensions Added an "import extensions" to the startup.py script and added a scripts/extensions directory to use for non-action extensions, such as the included rv flipbook extension. • Scripting: Hooks - New Added the following scripting hooks: "frameChanged" and "selectionchanged". • Tweak Software > RV Integration When a path is entered in the RV > Command preference, a "Send to RV" option appears at the bottom right of the Render window. If that is enabled, after rendering, the rendered clip will be sent to the RV playback software-if installed.